The Pequest River in NJ has a special place in my heart. I lived within minutes of it for many years and it has always produced fish for me. Many of my days have been spent testing new patterns or theories on the Pequest and in some sections of the river, I feel like I know every rock and what’s behind it. The Pequest runs along Route 46 in the Buttzville / Belvidere area of Warren County. The Pequest is a freestone stream with a lot of limestone influence. It has many springs that help to keep it cool and usually fishes well throughout the year, unless we have a drought year during with extremely low water in the summer. The state stocks the river on a weekly basis in the spring and it receives a stocking in the fall that usually includes a good number of breeders from the hatchery. In addition to the stocking there are numerous holdover trout that live in the creek year round and return to the hatchery in the fall to spawn. It is kind of like a mini steelhead run with a bunch of trout heading upstream to the hatchery to try to spawn. This starts in September and continues until March. 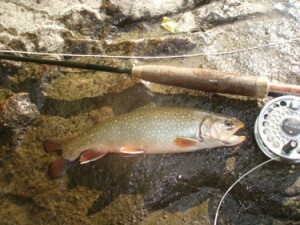 At this time you will find the largest fish in the river and they love to eat small egg patterns and nymphs. Come Join us on the PequestRiver. 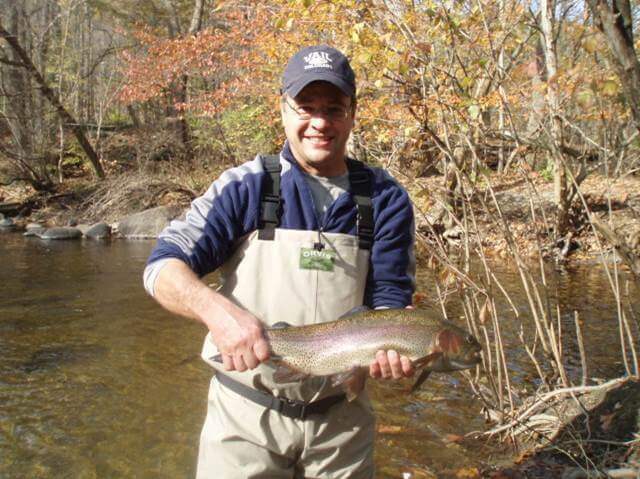 This is one of the best rivers in NJ and definitely one of the best winter fisheries on the PA / NJ border. The Ken Lockwood Gorge on the South Branch of the Raritan may be one of the most scenic sections of river in NJ. 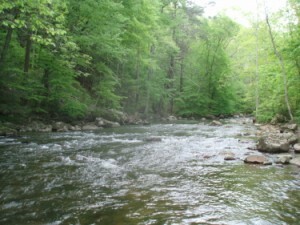 This secluded section of river is located near Califon, NJ and it’s big boulders and steep gradient are a pocket water fisherman’s dream come true. 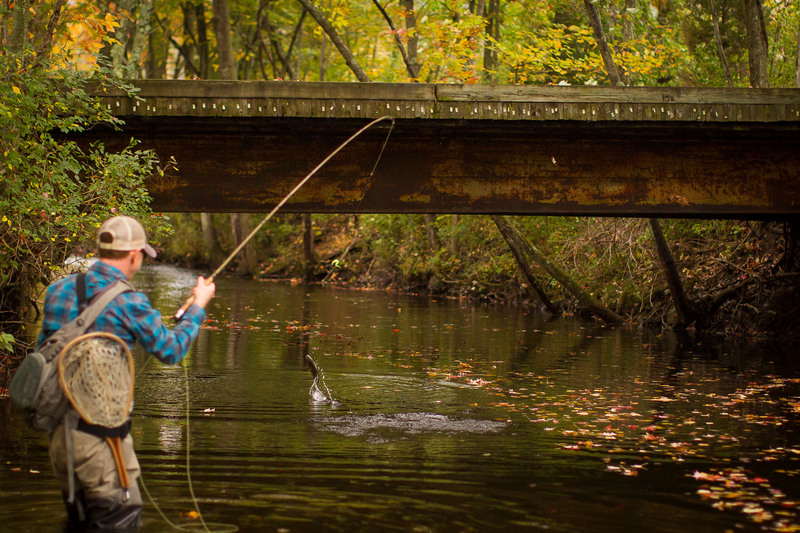 This special regulations section has a great population of stocked, hold over, and wild trout and is one of the few New Jersey streams that will support brookies year round. Look for your standard NJ mayfly and caddis hatches, Hendricksons, Sulphurs, Cahills, Tan caddis, black caddis, etc… and for rising fish in the evenings in the small pools between the riffles. If you are a nymph fisherman, this is one of the best streams in the state for high sticking and picking pockets. 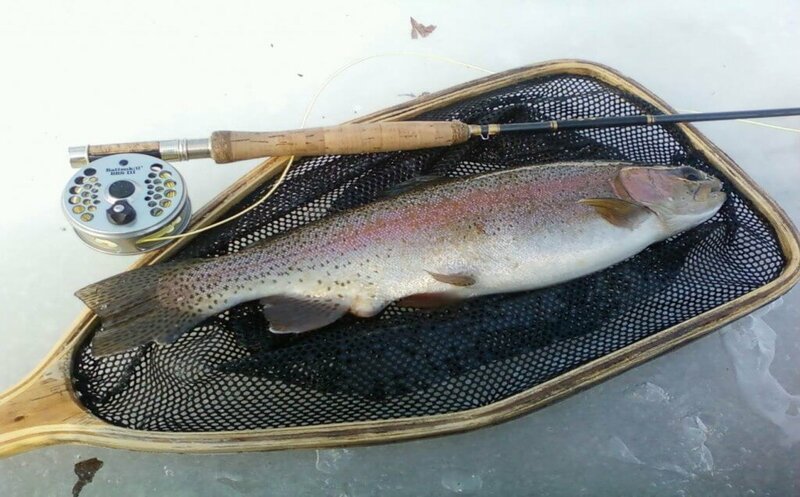 The Gorge is under trout conservations rules year round, one fish over 15“ may be taken by those who wish, but most anglers are catch and release.